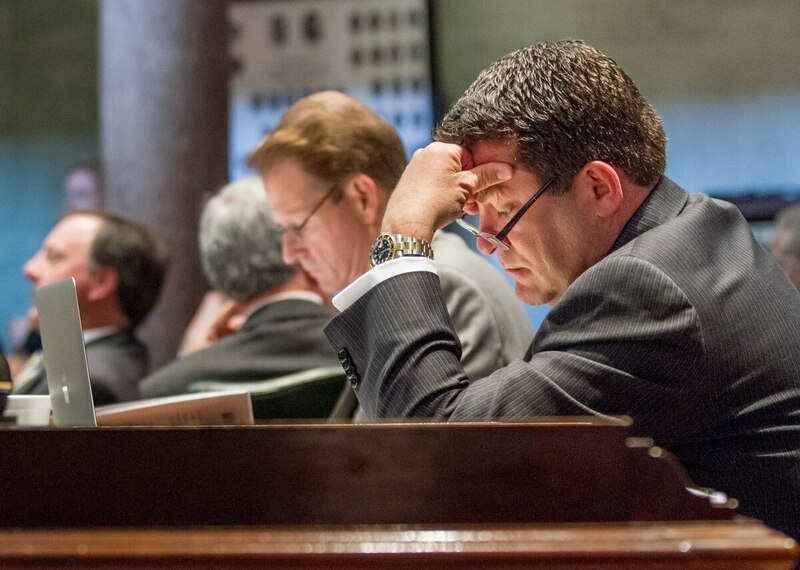 WASHINGTON — Army secretary nominee Mark Green officially withdrew his name on Friday from consideration for the Pentagon post, saying his nomination had become an unfortunate distraction for the White House. "I am honored that President Trump nominated me for this position," Green said in a statement. "I appreciate his support and confidence in me, as well as that of Secretary Mattis and many others, and their desire to make America great again by preparing our military to face the many challenges in this world for the safety and security of our nation. "But to meet these challenges, there should be no distractions. And unfortunately, due to false and misleading attacks against me, this nomination has become a distraction." The withdrawal is the latest major setback for President Trump's efforts to staff his Defense Department. Green is the second nominee this year to step away from the Army secretary post, and the third service secretary nominee to drop out of the process before a confirmation hearing. It leaves the administration still searching for permanent civilian leaders for both the Army and Navy. Air Force secretary nominee Heather Wilson is expected to be confirmed by the Senate on Monday. Green’s move comes amid scrutiny over his past comments on homosexuality and transgender rights connected to his work as a Tennessee state senator. LGBT advocates called out Green for pushing for a Tennessee law to circumvent local government policies against discrimination on the basis of sexual orientation, and been a vocal critic of rules allowing transgender individuals to use public restrooms of their choosing. He also once asserted that psychologists view transgender individual as diseased and has questioned whether evolution is a sound scientific theory. As recently as this week, a spokesman for Green said he had no intention of stepping away from the confirmation process. But in recent days, a growing number of Democratic House members and senators announced their intentions to block his nomination. On Friday, officials from the American Military Partner Association called his withdrawal a victory. "Mark Green should never have even been considered for Secretary of the Army," said AMPA President Ashley Broadway Mack. "His vicious attacks on LGBT people should have been disqualifying from the very beginning." In his statement, Green called the attacks from his critics unfair and misleading. "Tragically, my life of public service and my Christian beliefs have been mischaracterized and attacked by a few on the other side of the aisle for political gain," he said. "While these false attacks have no bearing on the needs of the Army or my qualifications to serve, I believe it is critical to give the president the ability to move forward with his vision to restore our military to its rightful place in the world." Green is best known as the Army Ranger who interviewed former Iraqi President Saddam Hussein after his capture by American forces in 2003. The 1986 West Point graduate has been a state lawmaker since 2012 and for the last seven years has served as founder and CEO of Align MD, an emergency department staffing company. White House officials did not offer any comment on Green’s announcement. While they had acknowledged his selection for the post, his nomination was never officially forwarded to the Senate. Robert Speer is serving as the acting Army secretary.